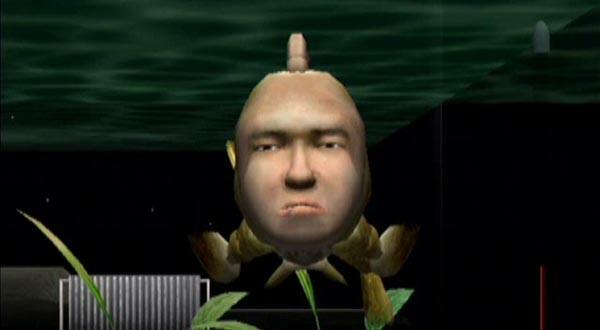 Seaman was a really, really odd game. This title launched back in 1999 for the Sega Dreamcast, and it tasked players with raising a fishman from birth. They'd talk to the creature with their microphone, included with the game, and the voice of Leonard Nimoy would eventually talk back. Nintendo seems to be nearing some sort of Seaman revival. Siliconera has translated a trademark find from Japanese gaming blog esuteru. That site scooped up two fresh trademarks for Nintendo that point directly at the Seaman brand. Nikkei reports, without much detail, that Seaman will be heading to the Nintendo 3DS in the future. Specifically, the story from Nikkei is that Nintendo is working to revive brands from older competitors and that Seaman is part of this effort for the Nintendo 3DS. Nearly a year and a half later, the aforementioned two brand new Nintendo trademarks absolutely point towards more from Seaman. Let's hope two things, folks: these games eventually make the jump abroad, and Leonard Nimoy returns to voice the odd fish person pet.